Looking through a baby registry list for what is recommended to buy before your baby is born can be absolutely confusing. Which products do I really need? Which brands are the best? How much of each item will I need? I know that I was confused when I was having Adalyn about which products were the best and what I really needed. I turned to asking other moms for advice and doing a ton of research. For the most part, I think we got it mostly right. A couple of things that I went way overboard on are wipes- I bought so many wipes that I honestly do not even need to buy any new wipes for our second baby due April 2017, 2 1/2 years after Adalyn was born!! I went crazy on wipes. Another thing is baby shampoo and wash. I bought so many bottles it is ridiculous! I don't know what I was thinking. I want to share with you the items that I think that you really need when you have a baby for the first month or two. Things that you will definitely use. Things that you should have on hand for when you bring baby home from the hospital. When we bring our second baby home at about the beginning of April, these are the things that we will have ready to go. -Tons of burp cloths- our daughter spit up a ton plus we used these for different things with nursing and more. We had them stocked in every single room. Thick cloths worked the best. -Swaddles- we swaddled Adalyn for the first 6 months and plan to swaddle this baby as well. -Pacifiers- We waited for a couple of weeks to give Adalyn a pacifier at the recommendation of different breastfeeding resources to help with nursing and once we gave it to her, it seemed to help with soothing her. -Something to put the baby in- Swing, bouncer, Rock and Play, etc. We had it all and used all three but our favorite is the Rock and Play. -Safe infant car seat- You need a safe car seat installed before bringing baby home from the hospital. -Comfortable clothes and lots of them- The first few months, you will be doing a lot of outfit changes due to spit-up, pee, poop and more. I found it helpful to have one piece outfits that were comfortable for baby in the beginning. -Infant tub- Although we only used this for a few months, in the beginning, baby is so floppy that I liked having an infant tub ready to go for baths. Adalyn busting out of her swaddle one of the first nights she was home in her bassinet. 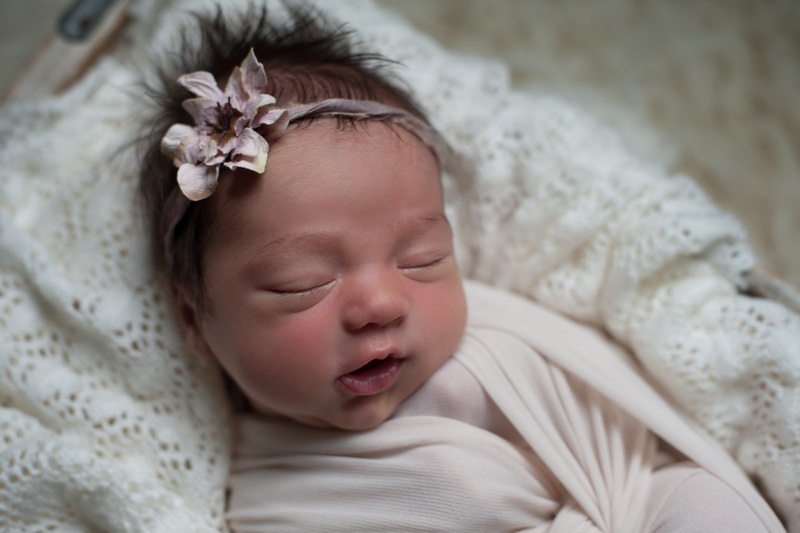 -Somewhere for baby to sleep- You can use a co-sleeper, crib or bassinet in the beginning. For the first two weeks, Adalyn slept in the bouncer, swing or bassinet. After that we moved her to her crib which was a great move for all of us. -Blankets- Depending on the season, you may want light or heavier blankets. We like the different brands of swaddle blankets. We used the cotton ones when it was warm and the flannel ones when it was cold. -Wipes- Don't buy 6,000 wipes like I did but it is essential to have a bunch of wipes on hand. You will use them for things you never thought you would such as wiping dirty hands, cleaning a high-chair tray, etc. Oh, and of course tons of diaper changes. -Diapers- Probably the #1 essential for bringing a baby home from the hospital. You need a lot of diapers on hand. 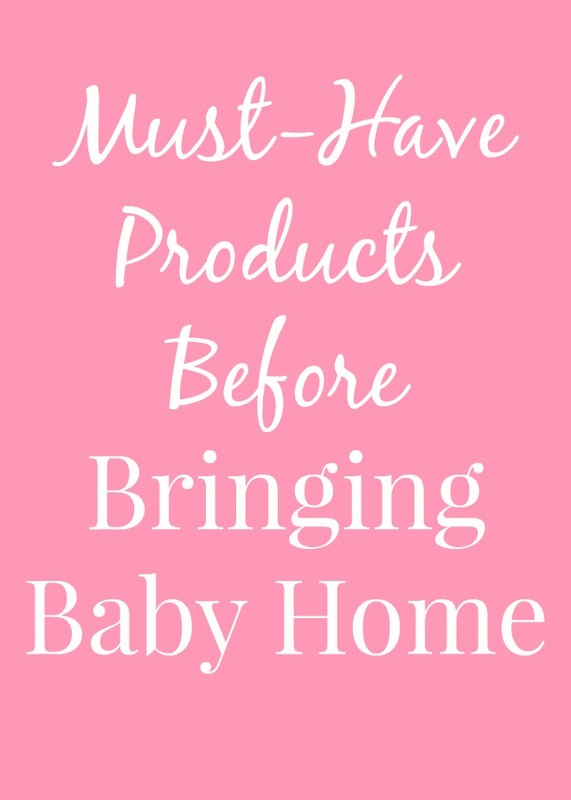 While I am pregnant, I like to stock up on many cases and packs of diapers so that I do not run out once the baby is here and I buy them when there are different sales going on. We love the Huggies Natural Care wipes and the Huggies Little Snugglers for newborns from Babies "R" Us. They worked well for Adalyn's little body and we have some ready to go for baby # 2. 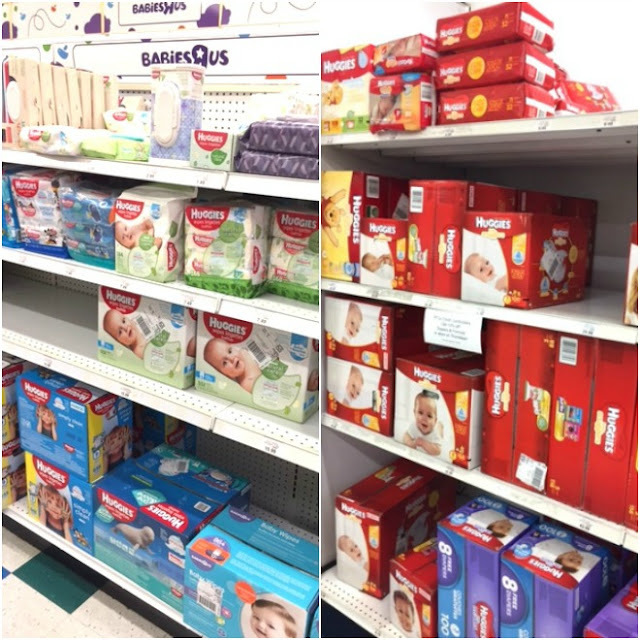 We registered at Babies "R" Us for Adalyn and I like how they have so many items in-stock right in the store so you can look at items right in front of you and see if you like them. They also offer some Baby's Basics classes. We wanted to go to some when we were having Adalyn but never made it. They have classes that help you learn how to care for a new baby during the first 6 months of life including bathing, diaper changing and more. They are hosted by a local community medical partner- just check your store for times and dates of classes. Now that I look at this list, I realize that I have some things to get together before baby #2 is born!